Aspirin is strongly recommended in patients who have had a heart attack or stroke, but guidelines are unclear regarding its prophylactic use in patients who have cardiovascular risk factors but no history of heart attack or stroke.Dr.Charbel Abi Khalil assistant professor of medicine at Weill Cornell Medicine-Qatar and colleagues conducted a study to assess role of aspirin as a preventive measure for patients who have both diabetes and heart failure.The researchers found that for people living with both Type 2 diabetes and heart failure, taking an aspirin each day appears to lower the risk of dying or being hospitalized for heart failure.The findings of the study have been presented at the American College of Cardiology’s 67th Annual Scientific Session. The guidelines are unclear regarding the use of Asprin as a preventive measure for patients who have cardiovascular risk factors but no history of heart attack or stroke. 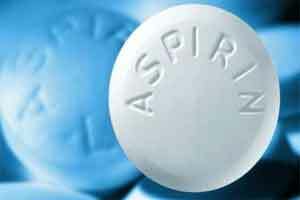 Previous studies in people who have not had those types of health events have shown conflicting evidence of aspirin’s potential benefits in the general population. In patients with heart failure, some studies suggest a daily aspirin may even be harmful. Abi Khalil will present the study, “Primary Prevention with Aspirin Reduces Mortality in Type 2 Diabetes and Heart Failure: Results from the THIN Primary Care Database,” on Sunday, March 11 at 9:45 a.m. ET in Poster Hall A/B.